Say hello to the pastel bag of my dreams. I've been after a pastel piece for ages now - considering I'm a HUGE fan of pastels this has most definitely been a long time coming. 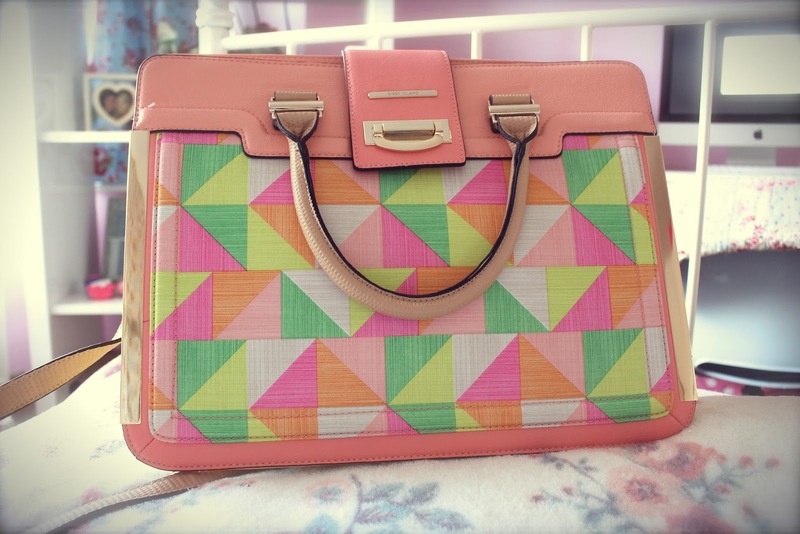 Okay, so it's a mix of pastels and bright colours, but it's everything I look for in a spring bag. I featured this in a haul a while ago and it seemed to go down pretty well, so I have a feeling you guys will like it too. it's the perfect size, has two sections and comes with a long strap as well as the little handles. I am in love with it. When the weather starts to warm up and the sun comes out, I always have one thing on my mind; frilly socks. I think this trend came in last summer (possibly the summer before, even) and I basically missed the boat. I think I got my hands on one pair which I wore once, and that was it. The strange thing is, I LOVED wearing them when they were on, so I have absolutely no idea why I didn't get more. Luckily, this year I am going to stock up on frilly socks of all colours, patterns and varieties, in the hope of wearing them with converse, sandals, dolly shoes.... everything, basically. I bought this trio of candy-coloured socks from Primark and I'm in love with them already. They were a total bargain too, not like some of the pairs I've seen (naming no names... ahem, Topshop). Okay, so this is a bit of a weird one, and I'm pretty sure not everyone will be a fan of it. 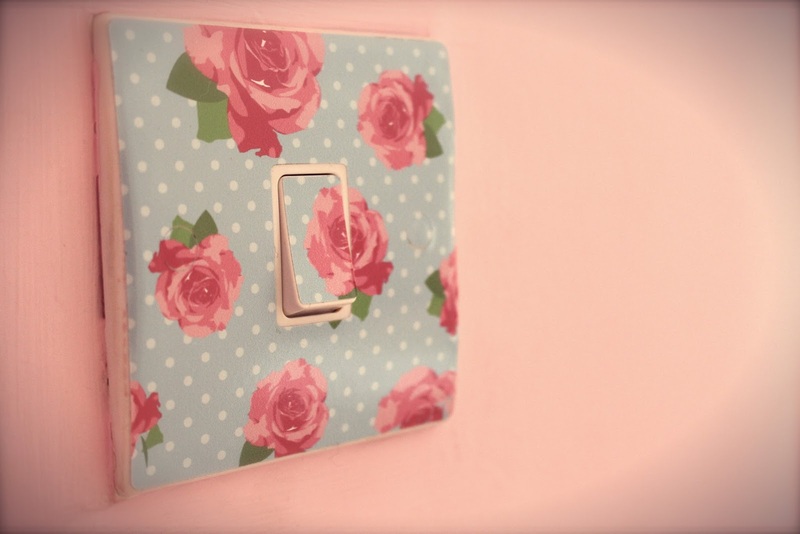 Basically, I ordered a light switch sticker off Amazon a while ago, whilst browsing a selection of interior bits and pieces. It was about £1.99 and the floral magpie in me needed it as soon as I laid eyes on it. I got my boyfriend to put it on this weekend (I'm useless at anything even remotely technical) and whilst he declared 'You've made something that looked fine, look incredibly tacky', I am delighted with the results. Nothing like a little addition of floral to brighten the place up, right!? 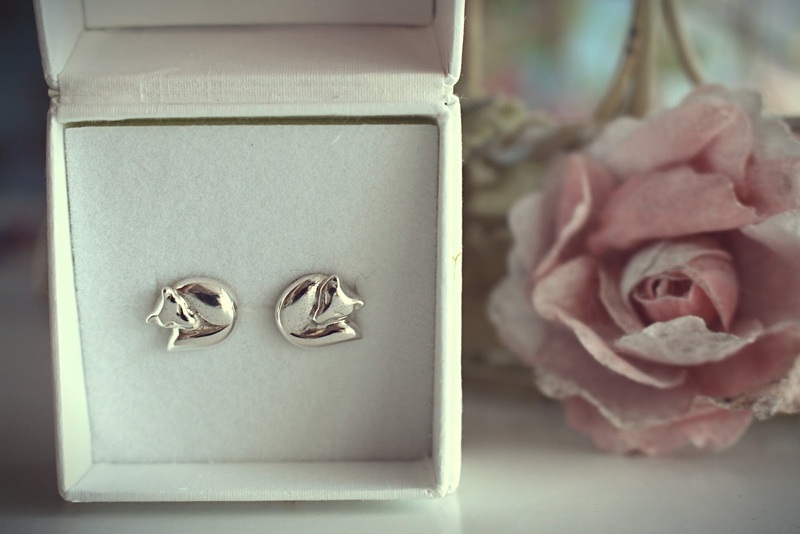 I love a bit of animal jewellery, and these gorgeous sleepy foxes from Jana Reinhardt are the cutest things ever. I tend to find that most animal-themed pieces of jewellery are usually costume, so it's really nice to see some real silver pieces filtering their way in. I'm in love with everything Jana Reindhart does - it's all so delicate and pretty whilst having a touch of quirkiness. I think these are the perfect subtle pair of earrings for everyday wear. I'm becoming a tad obsessed with Dunelm Mill at the minute, in particular their gorgeous range of artificial flowers. I actually picked this bunch up a year or so ago, but as spring is finally here I feel the need to add some more to my collection. 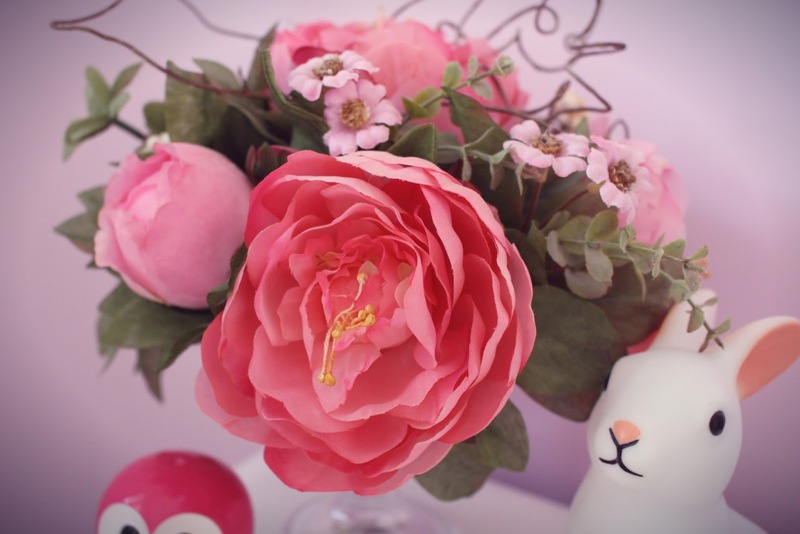 I'd love to be able to have real flowers in my room at all times but artificial are just so much cheaper and easier! What little things are you loving at the moment?